We regret to inform you of the passing of Professor Leo Taubes, one of Rinat's long-standing and founding members, beloved father of Rabbi Michael Taubes. The kevurah will take this evening at 8:00pm (Yerushalayim time) at Har HaMenuchos. Rabbi Taubes and his siblings will begin Shivah at the home of his sister, 14 Rechov HaGoren, Efrat. Rabbi Taubes will return to Teaneck iy’H on Wednesday morning, March 6, and will sit shiva through next Monday morning, March 11 at his home, 1477 Jefferson Street. Mincha (alone) at 5:35pm and Maariv (alone) at 8:00pm. May the Taubes family be comforted among the mourners of Tzion and Yerushalayim. took place in Israel on Monday night..
To offer chessed, please contact Leora Fineberg at (201) 960-8105. May the Shankman familiy be comforted among the mourners of Tzion v'Yerushalyaim. beloved mother of our affiliate member Nancy Eisenberg (Marc Brandriss). The funeral will take place on Thursday February 21st at 10:00am at Lincoln Park Cemetery, 1469 Post Road in Warwick, Rhode Island. Nancy will be returning to Boca Raton, Florida to sit shiva in her home at 6729 Boca Pines Trail Unit D from Friday February 22nd through Tuesday February 26th. Nancy can be reached at: (561) 372-9294. 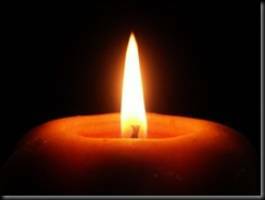 May the Eisenberg family be comforted among the mourners of Tzion and Yerushalayim. beloved grandfather of our member, Becky Wolf. at Gutterman-Musicant in Hackensack. The kevura will take place at Loyalty Lodge in Fairfield, CT.
from Wednesday afternoon, starting with Mincha at 5:15pm, through Tuesday morning February 26. May the Geller family be comforted among the mourners of Tzion and Yerushalayim. Jon will return to the US to sit shiva in Maryland through Friday. from Saturday night, February 23, through Monday morning. 162-05 Horace Harding Parkway in Queens. 492 West Englewood Avenue in Teaneck. May the Glass family be comforted among the mourners of Tzion v'Yerushalayim. took place in Israel on Monday evening, February 4. Robert can be reached by cell phone in Israel at 551-404-5356.
from Wednesday morning, Feb 6, through Sunday morning, February 10, after Shacharit. May the Hoenig families be comforted among the mourners of Tzion v'Yerushalayim. through tonight, Monday, February 4 at 9:00pm. Shiva will conclude in Israel, beginning on Tuesday night starting at 8:30pm until Thursday morning, February 7th at 21 Hatomer #3 in Zichron Yaakov. For further details, please contact Devora at 201-647-6925 or Israel phone: 972-52-572-6998. May the Hosseinof family be comforted among the mourners of Tzion and Yerushalayim. Robert Hoenig and his brother, Mark Hoenig. We regret to inform you of the passing of Iradj Hosseinof, beloved father of our former member who made Aliyah, Josh Hosseinof. The funeral will take place tomorrow, Friday morning, February 1st at 8:30am at Shaarei Shalom, 54 Steamboat Road in Great Neck. Shiva will begin at 65 Nassau Drive, in Great Neck, New York. Further details on the shiva will follow. Josh can be reached at 201-647-6925.